Climbing fake mountains and learning how to overcome. 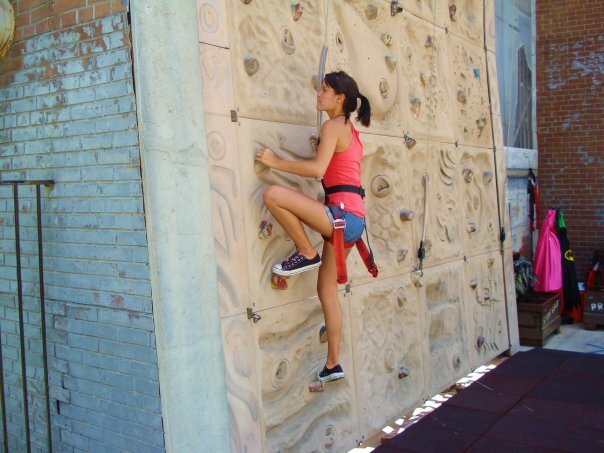 The photo above is me, almost 5 years ago, rock climbing a fake mountain at Six Flags. I have always loved rock climbing, but I remember something strange that happened in that moment. My legs began to shake as I looked down at the ground below me. Heart racing, palms sweaty, legs feeling numb, I was afraid to keep climbing. This had never happened to me before. I wasn’t afraid of heights and I was very securely attached by a harness. However, in that moment, it was the looking below that kept me frozen in place. Many times in life, focusing on my past, looking behind me, and holding onto my mistakes has frozen me in time and kept me from succeeding and moving forward. It seems that in our early adult years and early twenties, some of us go through a quarter life crisis. Seeking out our true identity, wondering who we are and what will define us. I wasted many years putting labels on myself, allowing my past, flaws, mistakes, and what I had done be the defining factors that made up the various elements of my identity. For far too long, I let that list above define who I was as a person. You know how the bible says that love keeps no record of wrongs? Well, I did…for myself. The world could forgive me, God could even forgive me, but for some reason, I still had a very long running list in my head of every single thing I had ever done wrong…even if it was unintentional, unavoidable, or simply part of growing up. A couple years ago, that girl in the list above found herself lying on the bathroom floor of her tiny studio apartment…crying out…not even really knowing who she was crying to. Eventually, realizing that maybe I should address these concerns to God, I spewed it all. Every hurt, pain, flaw, mistake, heartbreak, all of it. I was so tired of living in the past…exhausted from living in guilt over everything about me that wasn’t perfect…and sick of living a life of condemnation. God’s grace changed my life from the inside out. I can tell you this story because that’s exactly what it is to me now…a story. Almost like a movie playing in my head. God has separated my sin and my brokenness so far from where I am now that it is just a strange blur. While I was able to accept God’s amazing grace and truth, it didn’t stop there. My journey to self recovery and solving my life changing identity crisis couldn’t simply end. 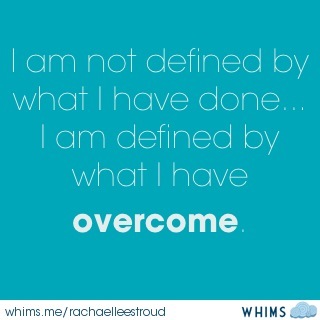 I had to overcome, fight, and battle some serious inner wars to get to a healthy place. I used to feel that my identity was completely and utterly made up of my past. Now, I see myself as a young woman who has overcome a lot because of a God who gave her a brand new identity. I can’t promise you that what you are battling now will be easy, but I can promise you that when it is over, you will be changed forever and strengthened by the difficulties you have overcome. Life gives us many mountains to climb…and we can only conquer them one step, one breath, and one prayer at a time. I really needed to read this today. Like… it’s exactly the words I needed. Thank you.